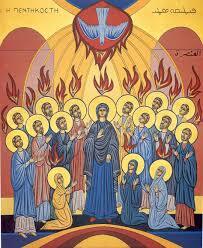 Yesterday, our church celebrated what many call the “birthday of the Church”: Pentecost. The day described as one of unity has been marked by division over interpretation as to what these “divided tongues” sounded like and if it is still possible today. I don’t intend to add to the debate or to pick a side in the division. I offer a meager prayer instead. “Spirit of the Living God, fall afresh on us.”[i] We have become familiar with Sunday and our worship has become programmatic. Spirit of the Living God, fall anew on us. We hear and know so many words that Yours has lost its intimacy. Spirit of the Living God, fall again on us. Our relationship has become casual. You are more acquaintance than Lord. Spirit of the Living God, fall consistently on us. Your holy name has become common. We say it plainly, lacking reverence. Spirit of the Living God, fall continually on us. Your presence is now considered predictable. Though the omnipresent God, we now know where You are and where You are not. [i] Daniel Iverson, “Spirit of the Living God,” 1926. Such a profound prayer and beautiful image.